Receive important updates and information in this section. 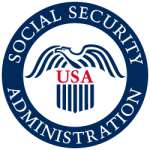 It is now possible for Social Security beneficiaries to verify benefits on-line by creating a ‘my account’ on SSA.gov. This account provides access to benefit amounts, Medicare start date and earnings. Other uses include changing address and phone number and direct deposit information. FOR SSDI RECIPIENTS: You can now report your earnings and correct them as well via a SSA My Account. TIP: If your job is not listed within your My Account, you would need to reach out to SSA to report it. As a beneficiary, it is essential that you know the complete status of your ticket and earnings. The BPQY reveals the most recent information recorded by the Social Security Administration and provides an analysis of disability cash benefits, health insurance, scheduled medical reviews, earnings, and work history. 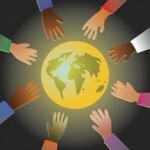 To Obtain a BPQY: Simply contact our Benefits Manager/CWIC, Teresa Ellinger, at tnier@myemploymentoptions.com. She can obtain the BPQY for you. All clients are required to report earnings and employment changes to Employment Options AND your local Social Security office. Not reporting your income to the SSA regularly could result in over-payment status and cause a reduction or loss of disability benefits. Your local SSA office should have a Ticket to Work Authorized Claims Rep.
To locate your local Social Security office nearest you, click here. For Benefits Counseling, please contact your personal job counselor with questions and they can set up an appointment with our Benefits Counselor if needed. If you are receiving disability SSI and working, most states have a safety net that allows you to keep your Medicaid when your earnings exceed the break-even point. This program, the 1619B, should happen automatically if you are reporting your gross earnings to SSA on a monthly basis. There is no form to fill out.